MEXICO CITY — Mexicans heading into the weekend’s Independence Day celebrations were jolted by a brazen shooting by men dressed as mariachi musicians who killed four people and wounded nine in Garibaldi Plaza, an iconic square in the capital where the bands serenade tourists. 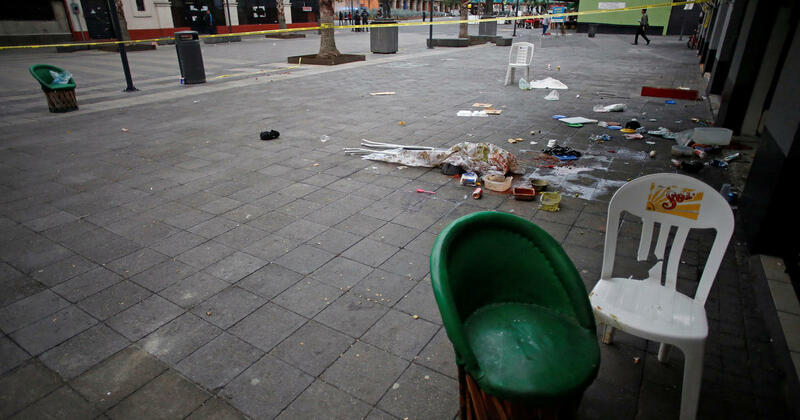 The Mexico City prosecutors’ office said at least one foreigner was among those wounded in Friday night’s attack, which local media said was staged by three gunmen. The news outlet La Silla Rota circulated surveillance video of the alleged assailants wearing traditional embroidered jackets and pants as they fled on motorcycles. The shooting cast a bloody pall over Independence Day festivities. Many Mexicans will wear mariachi costumes, a symbol of national pride, on Saturday night to commemorate the launch of the revolt against Spanish rule on Sept. 16, 1810. It is also the busiest time of year for Garibaldi Plaza, a beloved but seedy square that draws heavily on Mexican folklore. Lisa Sanchez, director of Mexicans United Against Delinquency, described the shooting as a “piercing portrait” of Mexico. The shooting in a crowded public square demonstrates that impunity prevails in the country, she said. The prosecutors’ office said investigators were trying to find those responsible for the attack. Few crimes in Mexico are solved. On Saturday night, President Enrique Pena Nieto is to shout “Viva Mexico” – or “Long Live Mexico” – shortly before midnight from a balcony of the National Palace. Thousands crowd into Mexico City’s central Zocalo square every year to hear the shout, and the celebration usually spills into Garibaldi Plaza. Business quickly resumed around the square following the shooting. Videos circulating on social media showed musicians in the plaza playing their music around the time of the shooting, without skipping a beat. In one video, a man plucking a large harp continues to belt out the Mexican civil war anthem “La Cucaracha” as dozens of gunshots can be heard in the background. In another, brass instruments and melancholic voices fill the air as the flashing lights of police vehicles descend on the plaza. Patrons continued to down tequilas and tuck into tacos. At the Tenampa cantina, which bills itself as having first brought mariachi troupes to the plaza in the 1920s, a manager said it was business as usual Saturday. “We haven’t had any reservations cancelled and we continue to book tables,” he said, asking that his name not be published for fear of retaliation by criminal groups. Crimes and scams have plagued Garibaldi Plaza for years. Malcolm X’s grandson Malcolm Shabazz was found beaten to death outside a bar there in 2013 after a dispute over a bill. 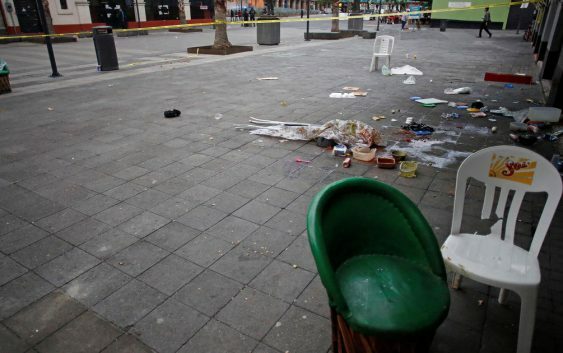 A Mexican security expert, Alejandro Hope, said the Friday shooting appeared to be a hit by an organized crime group. Garibaldi Plaza borders the gritty Tepito neighborhood, home to the Union Tepito gang that has been extorting businesses across the capital. The suspected head of Union Tepito, a man known as “El Betito,” was arrested in August. That arrest may have set off a battle for leadership and turf. A rival gang called the Anti-Union Force is believed to hang around Garibaldi. Hope said the shooters targeted a specific restaurant on the plaza in what may have been a shakedown for protection money or a hit on rivals. “It was not random,” he said. Is Vipshop a Buy at Its Multiyear Low?